Today’s blog is dedicated to this fellow baldie’s other memorable quotes. Jesse Ventura (born July 15, 1951), also known as “The Body”, “The Star”, and “The Governing Body”, is an American politician, retired professional wrestler, Navy UDT veteran, actor, and former radio and television talk show host. He was inducted into the WWE Hall of Fame in 2004. He is also a 1-time AWA Tag Team Champion. In the Minnesota gubernatorial election of 1998 he was elected the 38th Governor of Minnesota and served from January 4, 1999 to January 6, 2003 without seeking a second term. In January of 2008, the Associated Press reported that a new book authored by Ventura, titled Don’t Start the Revolution Without Me is scheduled for release in April. In it, according to the report, Ventura suggests that he is a potential presidential candidate for 2008. Great question. Jesse was different. He was the anti-politician’s Politician. As a marketer, he knew how to get attention, how to create headlines, and how to be truthful. 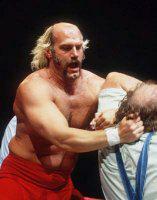 I think we can all take a page from the Jesse Ventura book on marketing. On the front page: Credit Mess Means Selling For Less was the lead story. 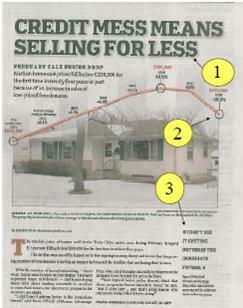 (see above print version) It showed me that the Star Trib is really, in my opinion, anti-real estate. Why? 1) The headline is sensationally negative. I really wonder if they wrote the headline PRIOR to writing the story. 2) The graph is inaccurate. They show a 12.5% decrease in 2008. Fine. But that only the first 3 months. They make this look like a larger thing than it is. I learned how to draw more accurate, to-scale graphs in third grade. Hey, maybe they fit the graph to cover the shape of their photo? 3) How many realtors did they need to interview before the Star Tribune could get this quote from Ryan O’Neill of ReMax Advantage: “I don’t see it getting better in the immediate future.” What that in the context of a longer quote? 4) The story buried good quotes from Kevin Knudsen (Minneapolis Area Association of Realtors) and Greg Bauman (St. Paul Area Association of Realtors) on page 8 of the section. Too little, too late. The Star Trib’s ‘sky is falling’ mentality is plastered all over page 1. I have friends, clients, and business associates in real estate, homebuilding, mortgage, and banking. I’ve talked to several of them about this story. It’s not just me…there are a lot of people upset with this story. This type of bad news, perpetuated by newspapers like the Star Tribune, is the only thing that sells subscriptions. Maybe they’re grudging because Edina Realty cut 70% of their Star Tribune newspaper budget about a year ago to develop their internet presence. But the anti-real estate industry bias is all too apparent here. 1. The average person isn’t exposed to your billboard the same way you are. Many outdoor sales reps sell their facings (the term for a single billboard) by driving very slowly by the locations of various boards they own. The rep points out the location so the prospect (you) sees the board for as long a time as possible. Then once the client rents the board, they may go out of their way to drive by it. The average person isn’t paying as much attention to the client’s board as the client is. 3. Winter is a risky time to be advertising on billboards. Where are your eyes when the roads are slippery or the windshield is dirty? 4. The average time someone looks at a billboard is about three seconds. The billboard companies tell advertisers to keep their messages short — seven words or less. How much selling can you do in three seconds or seven words? PS. Know what the best two words are for a billboard? Next Exit. The use of a postscript (P.S.) is mandatory in every direct marketing letter. Whether you’re doing postcards, or a direct marketing newsletter, I consider this one of the most important features on the marketing piece. It’s often overlooked or forgotten…and that’s a mistake. After the headline and first sentence, the P.S. commands the highest readership. Use that important space to repeat a key benefit, or add a twist or another idea to something you’ve already said. Also repeat your call to action here, in slightly different words. PS. 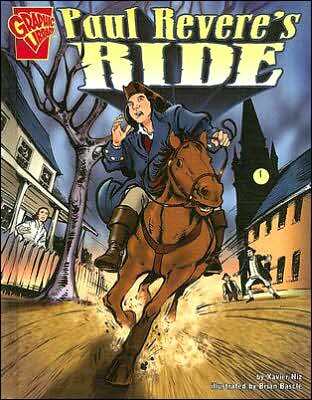 Did you know: Writing “P.S.” was wildly popular in the 1770s and was in several of the letters Paul Revere delivered on his famous rides. Start using it in your marketing today. PPS. Use of a P.S. for your online marketing, websites, and emails is also effective and highly encouraged. There is a prevailing smell of distrust these days. 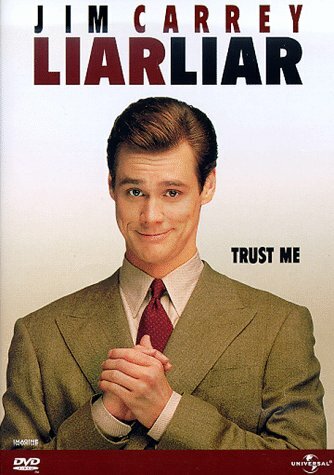 People distrust the government. And we’re in a political election year. People distrust big institutions. The price of gas is up. The mortgage industry is in an upheaval. Wall Street has beaten up investors of Citigroup, E-Trade, and Countrywide. Unemployment…sports legends on steroids…I could go on and on. 1) Use testimonials. Have a supply of testimonial letters ready, or include customer quotes in all of your marketing materials. 2) Join a professional association. It shows that you are accepted for measuring up to the standards of your profession. If you are already a member of a professional association, make sure your customers know, and that you participate in continuing education. 3) Meet your customers more often. As we continue to evolve into an email-driven society, it’s easy to lose touch. Frequently meeting customers face-to-face, and offering good service is one of the quickest ways to gain trust. 4) Add your address to your website. Do you ever go to a business website and can’t find their street address? How do you feel? What are they hiding? Are they going to rip me off? Doesn’t it make you suspicious? I know it does for me. Don’t do this to your customers. 5) Increase your opportunity for referral marketing. Join a BNI chapter, or another local business networking group. Referral marketing plays a big part of building trust. Do Not Mail List: How would it affect your marketing? In 2007, a number of states had introduced do-not-mail bills. These states included Connecticut, Hawaii, Michigan, Missouri, New Jersey, New York, Rhode Island, Texas, Vermont and Washington. Several other bills – in New York, Virginia, New Jersey and Washington – offered some sort of related proposed legislation, such as the creation of a no-mail registry for certain senior citizens and people suffering from mental illness, plus a ban on credit-card solicitations to people under the age of 21. On one side…the Direct Marketing Association and the United States Post Office. On the other side, many of the green organizations to save the trees. To this point, none of the bills have gained traction. And the direct mail community is keeping a very close watch on do-not-mail bills that have been introduced to state legislatures this year. Lobbyists will fight this one long and hard. But I see the future of direct mail in the same vein as smoking legislation. First one state, then another, and another. Then momentum swings as polls indicate…and politicians are swayed. Mark my words…a do-not-mail bill is coming to your state someday. As a business owner, how would the loss of direct mail affect your marketing? Well, you’d have more money to market other ways. You’d need permission to market to people. My suggestion for 2008: Work on implementing permission marketing strategies long before they are legislated to you. Wikipedia defines permission marketing: Permission marketing is a term used in e-marketing. Marketers will ask permission before they send advertisements to prospective customers. It is used by some Internet marketers, email marketers, and telephone marketers. It requires that people first “opt-in”, rather than allowing people to “opt-out” only after the advertisements have been sent. Want to know more? If you haven’t read it yet, check out one of my favorite marketing books from Seth Godin: Permission Marketing: Turning Friends into Strangers. It’s exceptional marketing material. Chris Mitchell is the President and Founder of 25-8 Marketing, Inc, a full service advertising agency that plans and implements marketing programs for small to medium-sized businesses. He is a consultant, speaker and author and has worked with hundreds of companies. He has over 20 years of real-world advertising experience, and understands the marketing challenges of the small business owner.